Offering homes, ranches and farms in the Glenwood New Mexico area. Full service kitchen and bath design firm in Glenwood Springs, Colorado. works to develop the commercial biodiesel industry in the united states. based in glenwood springs, colorado. Specializes in original watercolor and stained glass patterns and kits. Also books, classes, and fat packs. A full-service shop specializing in custom fresh arrangements for delivery in the Glenwood Springs and Aspen area. A full-service florist shop specializing in custom fresh floral arrangements for delivery in the Glenwood Springs and Aspen area. Idaho Falls company specializing in smoked turkeys and beef jerky. Family business specializing in smoked products, including: honey glazed hams, smoked turkey, and beef jerky. Used auto parts for foreign and domestic cars. Online database for parts search. Located near Buffalo, in Glenwood. Located in Glenwood. Hot spring pools and RV sites. Posts rates and information. Breeder/groomer with boarding kennel. Photographs and links. Spring Hill, Florida. The official site with news, photographs, player profiles, match reports, tables, and contacts. Whitewater rafting on the Colorado, and Arkansas Rivers. Based in Glenwood Springs. Located in Glenwood. Posts services photos and contact information. Glenwood cycling and snowboard shop. Featuring custom bike fitting, sales, service and full repair. Glenwood Springs - RC model airplane clubs information, pictures, newsletter, field map, and related links. Glenwood. Semi-private 18-hole course designed by Joel Goldstrand, with driving range and pro shop. Instruction available. Located in California, offers Hanoverian Sport Horses for sale and at stud. Includes event information and pictures. Motorcycle operator safety training for novice and experienced riders in Denver and Glenwood Springs. Course descriptions, schedules, and licensing information. Non-denominational, evangelical Christian camp near Glenwood, New Mexico. Includes photographs and schedule. Ski resort near Glenwood Springs. Trail maps, lift ticket information, event calendar and snow conditions. Public golf course ranked in the top ten in Arkansas, full-service golf course, Pro shop, clubhouse, driving range, and practice green. Whitewater rafting on the Colorado and Arkansas Rivers, jeep tours, and fly fishing trips. Sit-on-top kayak and bike rentals. Based in Glenwood Springs. Produces blush, table red and sweet white table wines. Includes product descriptions, events, newsletter, photographs, hours and directions. Located in Glenwood. Offering hunts, wildlife viewing, fishing and horseback riding vacations. Includes photo gallery, details of packages and prices, maps, inquiry form and contact information. Located in Glenwood. Two full service veterinary practices in Raleigh. Virtual tours, hours of operation, and complete list of services. Full service boarding and training stable located in Scotts Valley, offering instruction in basic horsemanship, Equitation, Hunter/Jumper, and Dressage. Facility includes two arenas, round pen, trails, and paddocks. Offers a full range of horseback opportunities from hourly rides to all expense wilderness pack trips, and fully guided hunting and fishing expeditions. Includes details and contact information. Located in Glenwood Springs. Loudoun County Virginias premier Steeplechase races since 1920. Held annually at Glenwood Race Course in Middleburg in April. Offering information on the history of the race, tickets, course map, and local accommodations. An annual 10 to 20 mile non-competitive Trail Ride to benefit the Loudoun County Therapeutic Riding program. Held in May at the Glenwood Park in Middleburg, traversing the beautiful foxhunt countryside of Loudoun County, VA. Information on the ride, entry, distances, and contact. Offers web design and dynamic site scripting. Located in Glenwood, New Mexico, United States. CD authoring, presentations, kiosks, business cards, and training applications. Based in Glenwood Springs, Colorado, United States. Web design and hosting for local small businesses. Located in Glenwood, Iowa, United States. Glenwood. Maintains ties with both the United Methodist Church and the United Church of Christ. Some background information, newsletter (graphics-dependent), contact information, Sunday schedule. Senior citizen assisted living community. glenwood attorney offering services for family law, criminal defense, and litigation. Includes beliefs, the pastors page, announcements, ministries, a calendar and directions. Glenwood. Mass times, mission statement, staff directory. Archive of bulletins (in PDF). Worship schedule, news, sermons and reflections, spiritual formation and resources, and programs for children and youth. Tyler. Worship schedule, news, sermons and reflections, spiritual formation and resources, and programs for children and youth. 61 Glenwood Primitive Methodist Church Boardman, OH. Boardman, OH. History, activities, worship details, Bible search, doctrines and beliefs, directory and contact. Evangelical Free Church. Includes beliefs, the pastors page, announcements, ministries, a calendar and directions. Maintains ties with both the United Methodist Church and the United Church of Christ. Some background information, newsletter (graphics-dependent), contact information, Sunday schedule. includes profiles, rehearsal and concert schedules, newsletter and information about auditions. based in glenwood. 68 Pomeroy Instruments Don Paine. SiteBook Glenwood City Portrait of Glenwood in Georgia. 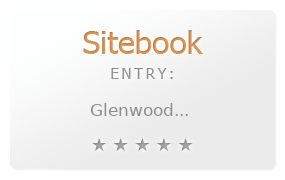 This Topic site Glenwood got a rating of 3 SiteBook.org Points according to the views of this profile site.